This So White Bath Bomb from Lush is another pretty little thing from there Christmas range so is only available for a limited time. And it is so nice i have to say i was a little worried that i wouldn’t find a nicer bath bomb after using the Snowman a few day’s ago (which i also wrote a review on) but this one is just as nice although in a different way. Because although this look’s like it’s just going to be plain white you get a surprise when you pop it into your bath when the outer layer fizzes away to reveal a pretty pink center which mixes together to create a lovely strawberry milkshake type of look on the top of the water and then turn’s the actual water a beautiful rose pink color which just look’s amazing. And as for the scent at first it doe’s have a slight rose hint to it but then after a few minutes that turn’s into an amazing apple scent (i adore apple scent’s so this was brilliant). Also your skin will feel super soft after using this thank’s to the bicarb in it. This will make a great Christmas present for a loved one and is huge too so i think you could even split this into two which make’s it really good and the perfect treat. 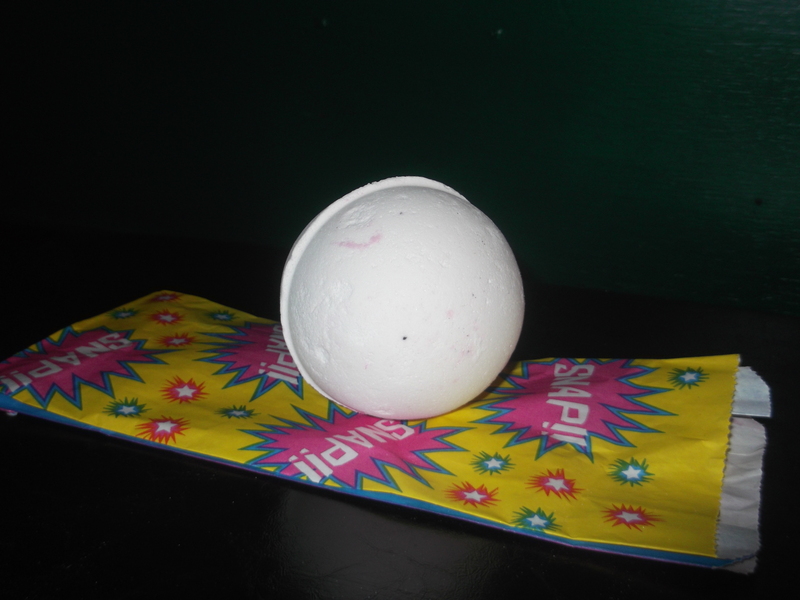 Lush So White Bath Bomb is available for a limited time at your nearest Lush Store or online at Lush.co.uk for £3.25. This is one of my absolute favourite bath bombs 🙂 I love that beautiful pink centre! I’ve actually never bought a bath bomb before….how moisturizing do you think it is? I have sensitive skin, so do you think its suitable for me?